One of the best experiences one can have going downtown is finding a new favorite restaurant. If you've been itching to try something a little different for your dining experience, this episode of The 315 is for you! 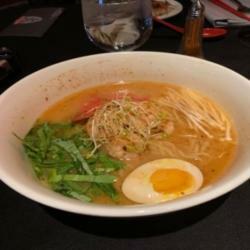 This week Joe Lee and Kevin Kloss visit Kasai Ramen, the newest ramen restaurant in Armory Square. The guys enjoyed a meal and then invited Owner and Chef Kyle Mastropietro into the studio to talk about what makes his spot unique. Joe Lee and Kevin Kloss chat with Owner and Chef Kyle Mastropietro of Kasai Ramen.